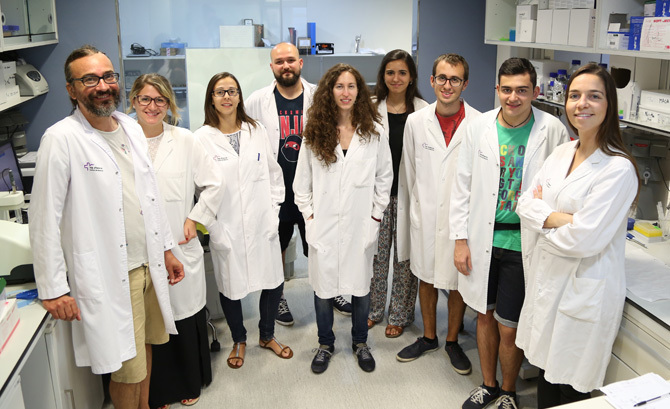 The Group of design and pharmacodynamics of nanoparticles at the Valld’Hebron Research Institute (VHIR) focuses on the synthesis, characterization and applications of engineered inorganic nanoparticles in the field of medicine. By mastering the engineering of the inorganic core (size, structure and shape), and understanding and controlling the linking of molecules to the nanoparticle surface, we aim to engineer nanoparticles that can interact with biological systems in a specific way. We intend the most comprehensive approach of nanoparticle engineering, and so we also put especial emphasis on safety, feasibility, scale-up, applicability, and other aspects of nanoparticle design. Our group is led by Prof. Víctor Puntes, who holds an ICREA Research Professorship. We take special interest in producing both fundamental and applied research. Since great part of our work demands highly multidisciplinary expertise, we maintain several strong collaborations with biologists, immunologists, oncologists, physicists, environmentalists and more, from all over Europe, and also in the US.